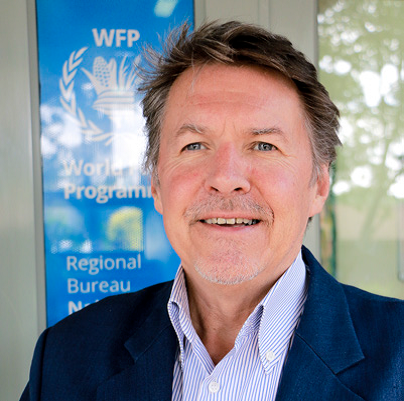 Adrian van der Knaap is the World Food Programme (WFP)'s Deputy Regional Director for East and Central Africa which covers nine countries in the region. Prior to this role, he was the Chief of Logistics in WFP Headquarters. Mr van der Knaap has extensive prior experience in Africa as the Head of Logistics in five different countries - the Democratic Republic of Congo (DRC), Eritrea, Ethiopia, Angola and Sudan - as well as the Head of sub-Office in two African countries - Uganda (Gulu) and Sudan (Juba, now South Sudan).